Just a few thoughts on this well known story where Jesus heals a paralytic man who gets near him by being lowered through a roof! Interesting that the crowd was both in and outside the house. Even though the people outside couldn’t hear – they didn’t give up and go home. They all wanted to hear Jesus – but to hear Jesus – you’ve got to get close! The man who needed healing needed to be close to – he and his friends found a creative way to get close to Jesus – but digging a hole in the roof! What ways can we get creative to get close to God? They also removed part of the roof to get close. What do we need to remove to get close? The man who needed healing didn’t do it by himself – his friends helped. Which says to me that it’s okay for us to accept help on our faith journey. They also took a massive risk to get close to Jesus. I’m pretty sure they were aware that damaging property would probably have consequences. However, they decided that it was worth the risk. What risks do we take to get close to God? The people who managed to get close to Jesus would have seen the miracle and I guess it would have impacted their faith in a big way. What about the people that didn’t get close enough to see it? The people outside who saw this man walk out with his mat? Did they realise that he had been healed by Jesus? Sometimes we do not see the miracles around us as we are not ‘close’ enough. 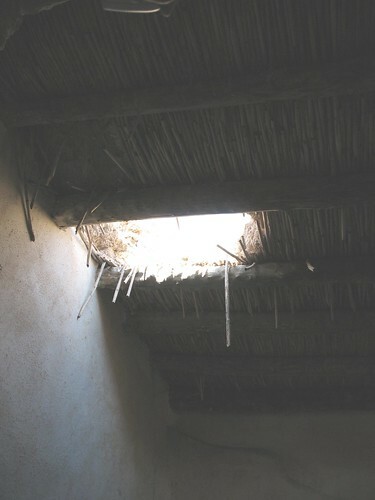 Why didn’t the people inside the house stop them from digging through the roof???? I guess they were so intrigued with what Jesus was saying they didn’t notice the commotion happening above them. I wonder if sometimes we are so caught up with God stuff they we don’t notice other people who are trying to have a relationship with God too. We can get so caught up in our own journey that we forgot to help others along the way. How do we ensure that we hear people on our ‘roof’?